Taking advantage of a High Court order, the Mangroves Cell of Maharashtra Forest Department, formed in 2012 to “conserve and replenish” mangroves, is allegedly seeking to demolish even slum dwellings, which are “protected” by the cut-off date – January 1, 2000 – set by the state government. The Bombay High Court, on October 6, 2005, in an order on a PIL filed by the Bombay Environment and Action Group, had said that all the mangrove areas and the land within a distance of 50 meters from mangrove areas be declared as ‘protected forests’ (government lands) and ‘forests’ (private lands). 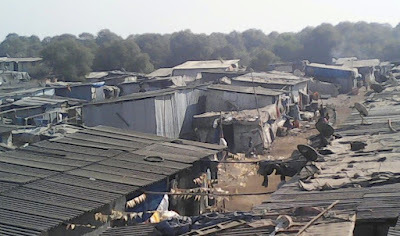 Well-known social activist Medha Patkar, who is fighting for the slum-dwellers’ land, has contended that the cell is seeking to demolish even those shanties, which came into being more than five years prior to the cut off date, seeking to make the entire area free of any humans. This, she believes, is against provisions of the Indian Forest Act, 1927, under which the land having the status of ‘protected forests’ for a maximum period of 30 years can have certain amount of human interference, which is not possible for land designated as ‘reserved forests’. “In other words, in case of ‘protected forests’, every activity, except those specifically prohibited, is permitted, while in ‘reserved forests’, every activity except those that are permitted, are prohibited”, the top activist says a statement. “Before declaring any land as ‘reserved forest’, it is the duty of the Forest Settlement Officer to settle the rights of the people who have been occupying that land”, the activist, who heads the National Alliance of People’s Movements (NAPM), the apex body of several mass organizations, says. While 2,500 were demolished in Navi Mumbai as these were on a 36-sq-km range of the mangrove cover, and another 600 were demolished in Malvani, Malad, “more slums in Kannamwar Nagar, Cheetah Camp, Colaba are under threat”, she says. Meanwhile, recently, the NGO taking up slum dwellers’ rights, Ghar Bachao Ghar Banao Andolan, recently submitted a report to the Collector, Mumbai Suburban District, who is the chairman of the District Coastal Zone Monitoring Committee, specifying new concrete structures have come up in the mangrove areas.